Tai Chi, as it is practiced in the west today, can perhaps best be thought of as a moving form of yoga and meditation combined. There are a number of so- called forms –sometimes also called ‘sets’– which consist of a sequence of movements. Many of these movements were originally derived from the martial arts (and perhaps even more ancestrally than that, from the natural movements of animals and birds), although the way they are performed in Tai Chi is slowly, softly and gracefully with smooth and even transitions between them. Along with Yoga, Tai Chi is one of the fastest growing fitness and health maintenance activities in the United States. One aim of Tai Chi is to foster a calm and tranquil mind, focused on the precise execution of these exercises. Learning to do them correctly provides a practical avenue for learning about such things as balance, alignment, fine-scale motor control, rhythm of movement, the initiation of movement from the body’s center, and so on. Furthermore, the deep breathing associated with the exercises is calming and relaxing in and of itself. There are more studies emerging in the literature that demonstrate improvement in low-density cholesterol, higher levels of immune function and improvement in diabetes markers. 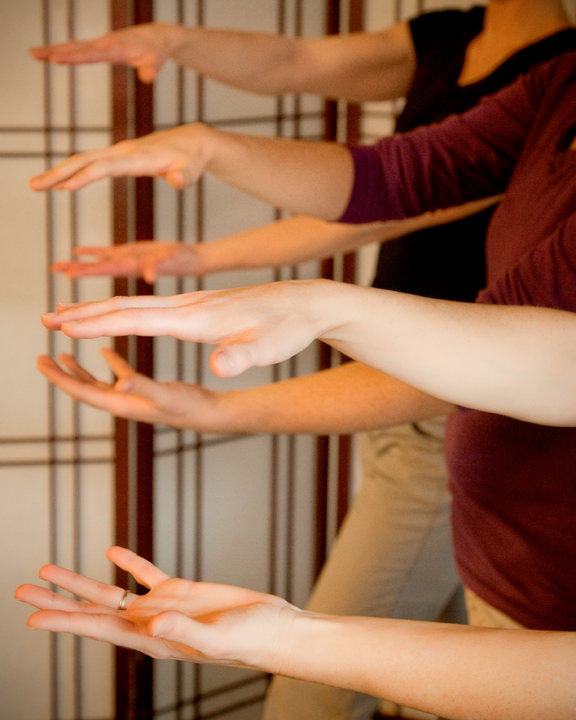 At CoreBalance Therapy, Amy Flory, PT, teaches Tai Chi classes for only 2-3 participants who have problems with balance. The classes are a good way to keep practicing your balance exercises in a safe environment, and still continue to improve your balance, and possibly other aspects of your health, after you are no longer engaged in regular physical therapy appointments for intense balance training.